In this day and age, many have turned to technology to find romance. They look to websites and apps to building a lasting relationship. However, Abel Horwitz (@abelhorwitz, http://abelhorwitz.tumblr.com) has a better idea. 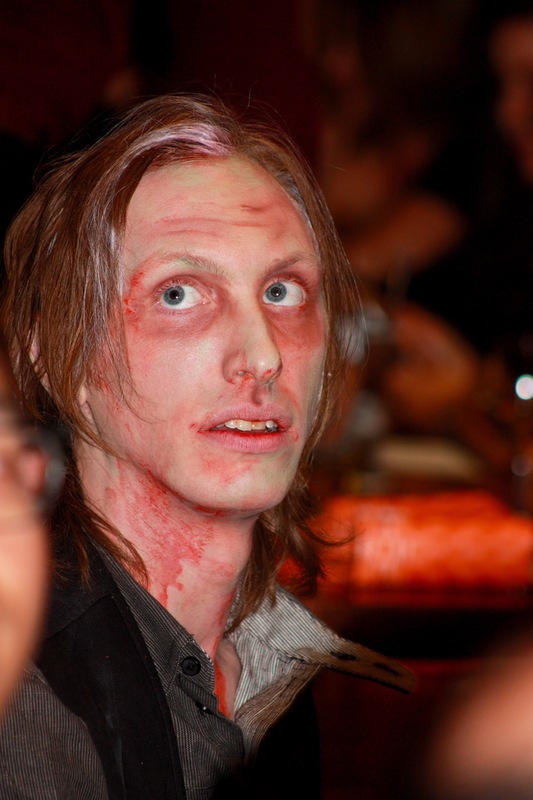 He took the idea of speed dating and made it a little bit more interesting- by adding serial killers! 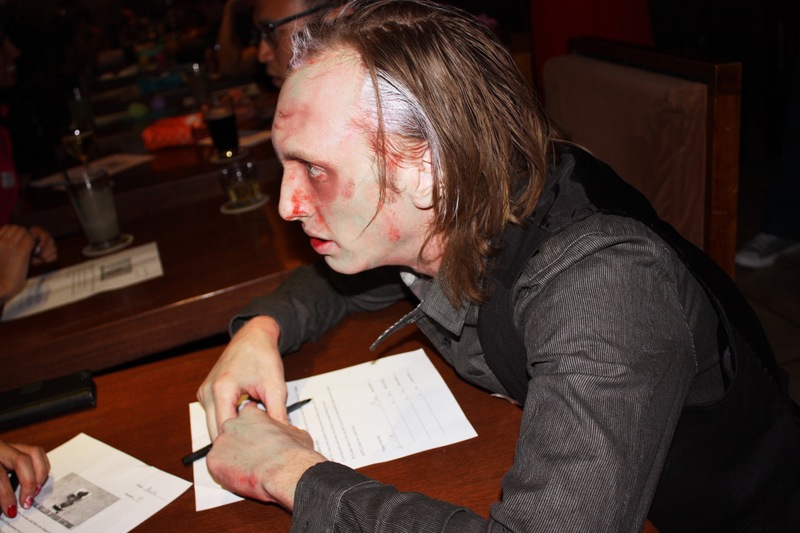 In what has become quite the successful adventure, Abel has brought back his signature event- Serial Killer Speed Dating (@skspeeddating, http://www.serialkillerspeeddating.com). Part speed dating, part show, part murder mystery- the participants witness a death and then engage in trying to guess which one of the other participants is the killer, all the while speed dating. 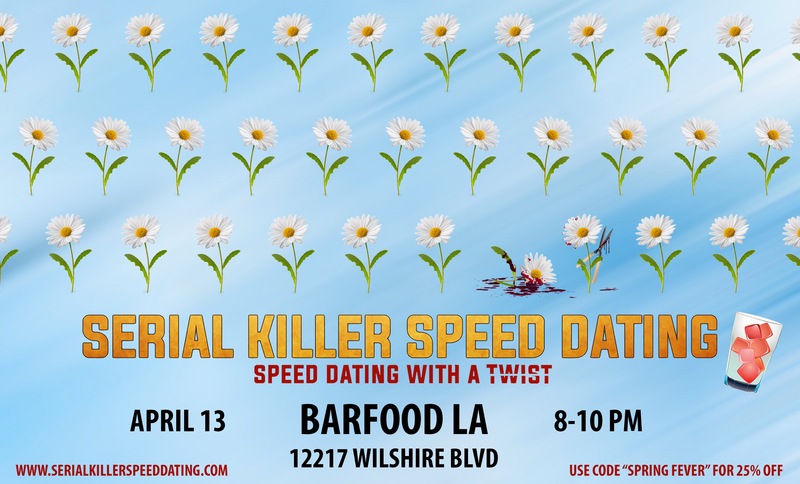 This time it was a sold out special “Spring Fever” edition of Serial Killer Speed Dating. 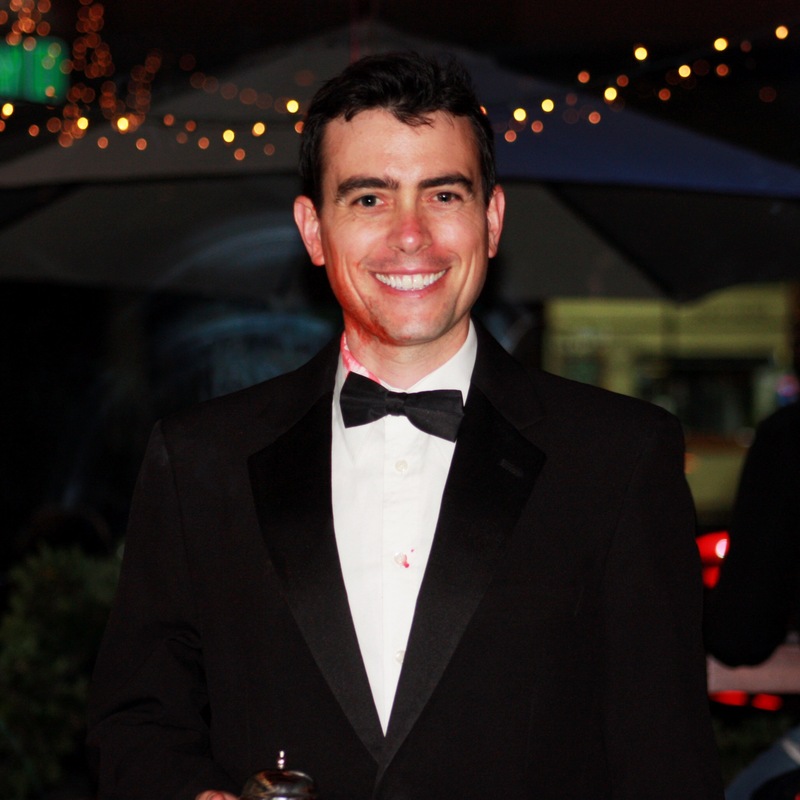 I had the opportunity to be a fly on the wall for this event, and was witness to the party. 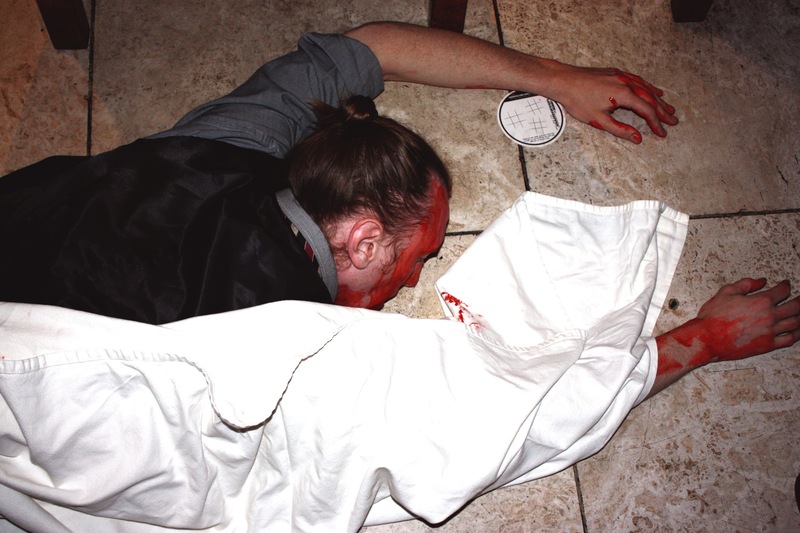 It started as a scream was heard from the bathroom as one of the participants had been attacked and died in a bloody mess in front of everyone. From there, the speed dating began. It was amusing to see how many of the dates began with asking “Are you the killer?” Or “I didn’t do it.” Then the real surprise came as the victim rose from the dead and joined in on the dating. From there, began two hours of smiles, laughs and a fantastic time for all those dates. In the end, it was discovered who the killer was, prizes were passed out, and some even made some real connections. Abel, who also acts as host, was in true form as he is always engaging with everyone, while making sure everything runs so smoothly. It really runs like a well oiled machine. The entire night went by so fast and flawless, you’re sad when it was over. I want to point out that one thing I observed the most was everyone having such an amazing time. Everyone was laughing and smiling from ear to ear. With so many impersonal and technological ways to meet people these days, it’s so nice to see people actually meeting up and talking. I think the addition of blood, dead bodies and serial killers just makes it more fun and definitely more interesting. 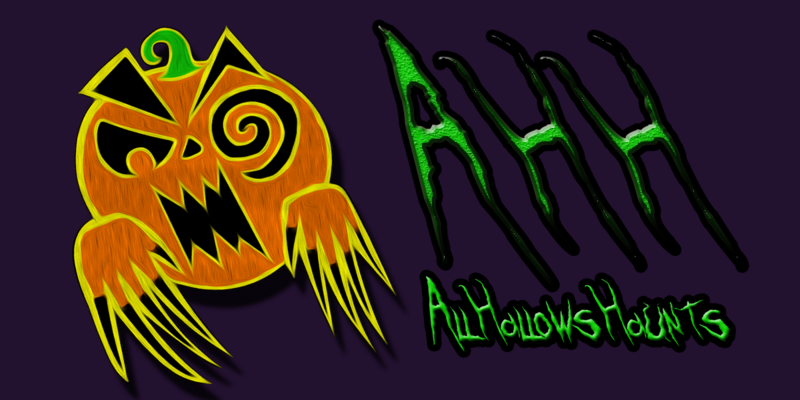 I, along with the rest of the All Hallows’ Haunts team, loves and highly recommends Serial Killer Speed Dating. It’s different, unique and fun. You will not be disappointed. And luckily for you, Abel has said to stay tuned and be sure to follow SKSD on Twitter and FACEBOOK as they have some exciting events in the works that will be coming very soon! This entry was posted in Events, Uncategorized and tagged BarFood, Los Angeles, Serial Killer, Serial Killer Speed Dating, Snap Chat, Speed Dating by Andy Shultz. Bookmark the permalink.